The Shelter Ospreys are Busy! We humans often have to stop construction on our homes when it rains. 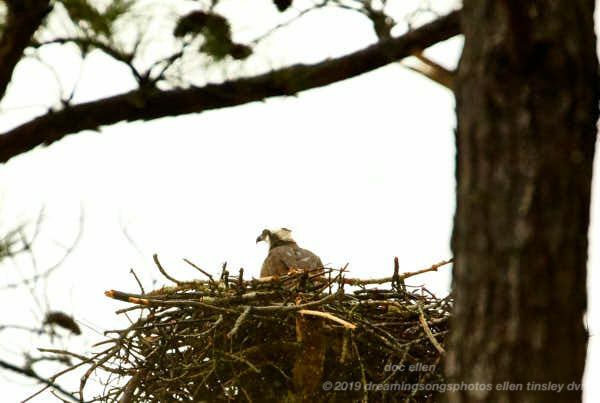 Osprey Dad isn’t letting a shower slow him down as he brings nest lining home. On the other hand, um talon, maybe he is a little put out with the rain. Oh, well, he has settled in, waiting for Osprey Mom to arrive. 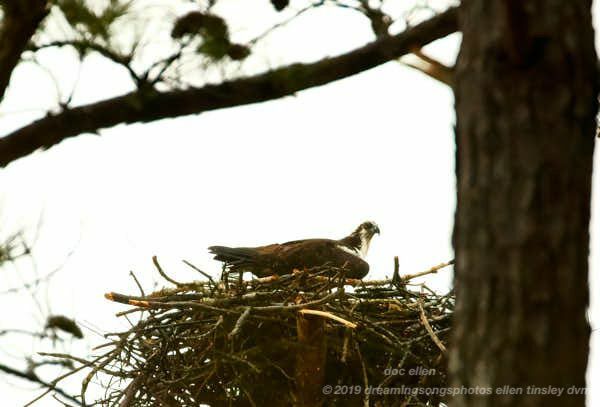 Posted in birds, Jordan Lake, Jordan Lake State Park, ospreys of Jordan Lake, photography, raptors, wild birds and tagged as Jordan Lake, Jordan Lake State Park, male osprey, osprey, osprey flight, osprey nest, ospreys of Jordan Lake, raptor, Shelter Ospreys. 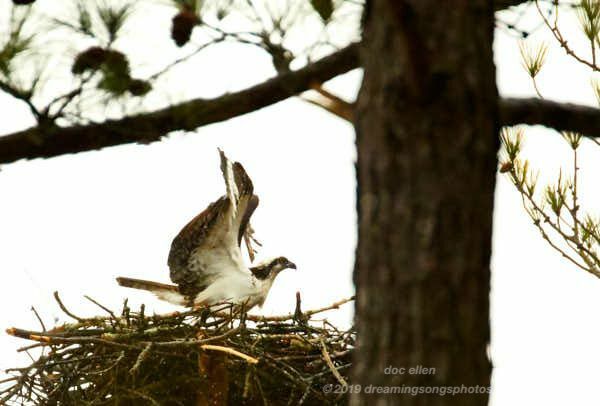 I have known the Shelter Ospreys for two years. Had the privilege of watching them finish the building of their first nest last year. They returned to that same nest this year and have added to it. The Shelter Ospreys are Busy! We humans often have to stop construction on our homes when it rains. 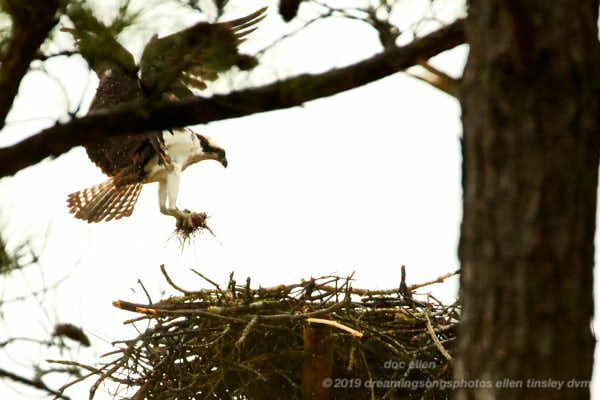 Osprey Dad isnât letting a shower slow him down as he brings nest lining home.